rodeasdown.com.au – How many times must I press your buttons? I’ve just had a great idea for the manufacturers of hearing aids. They spend a fortune making these things tiny and invisible so that no one notices the wearer has one. This means hearing aids cost a fortune. Why don’t they just make them look like cordless earbuds? 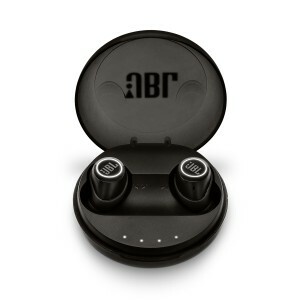 With less miniaturisation, costs would plummet and there are few things cooler than cordless earbuds. Deaf folk can hear, look cool and save a bundle. This was one of those random thoughts that drifted in during a walk to the shops with a pair JBL’s Free cordless buds pumping out Sibelius. At the time I was pondering my major complaint about the Frees, that with cordless buds as small as these there’s not much real estate for controls. You see, JBL has not gone down the separate remote control path, nor does it have a control app for your phone. Nope, all the controls are handled by a single button on the left bud and another on the right. So how does this work? Pay attention now, focus. On the left; one tap for next track, two taps for previous track, three taps for manual pairing of the left and right buds if the connection between them is lost. On the right; one tap for pause, or picking up a call, two taps for Siri or Google Now and three taps for manual pairing as above. Hold either button down for five seconds for on and off, and hold the right button down for eight seconds to pair Bluetooth. I figured I had this down pat and then at the post office Umesh looked at me and started moving his lips just as Finlandia was getting serious. Where the hell was pause? I gave up and took them out. Had he still been alive Sibelius would have been driven to drink. Again. My other complaint is that these run standard Bluetooth rather than one of the high-def codecs, which meant Sibelius was a lot less inspiring than normal and so was everything else this side of hip hop. Had they been running AptX or HD I probably would have just smiled at Umesh, nodded my head sagely and walked out because this is Finland’s most famous composer at his full, most patriotically inspiring stretch. One must draw a line somewhere. The Frees have a solid bottom end (listen to the thump coming along a few times in the finishing riff of Please Forgive Me by David Gray) but the music gets kinda thin from there on up. They sure are comfortable though, among the most comfortable of buds I’ve tried. It would be easy to forget they’re there if not for the music filling your head. They’re sweatproof but you’ll need to use the supplied gel sleeves to keep them in at the gym. There are some neat ideas. The sound automatically goes to mono when you’re on the phone so you can leave the left bud in your ear while talking to the right bud, the one with the microphone. The compact charge cradle, which doubles as a hard clamshell travel case, is also a power bank holding enough zap for up to five additional charges before it needs topping up. The buds themselves give four hours play time between charges and take two hours to charge fully, fifteen minutes for an hour of playback. They’re $199.95. 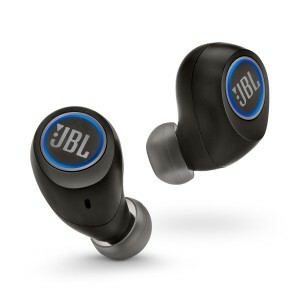 The man at JBL tells me that they’re not sold singly and it appears there are no deals if you lose one, so you’re up for a new pair. First published on smh.com.au January 2019.